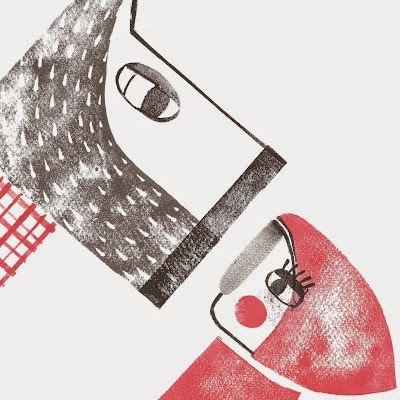 A lovely primitively printed Caperucita Roja by Chilean illustrator Josefa Galindo. "Red Riding Hood is itself. It does not matter whether white or brown, it's a little girl or a very grown-up girl who has black or blonde hair (or as in the case of my artwork that has no hair!). In any part of the world "words red "," hood "," forest "," wolf " immediately lead us to believe in ... Little Red Riding Hood.